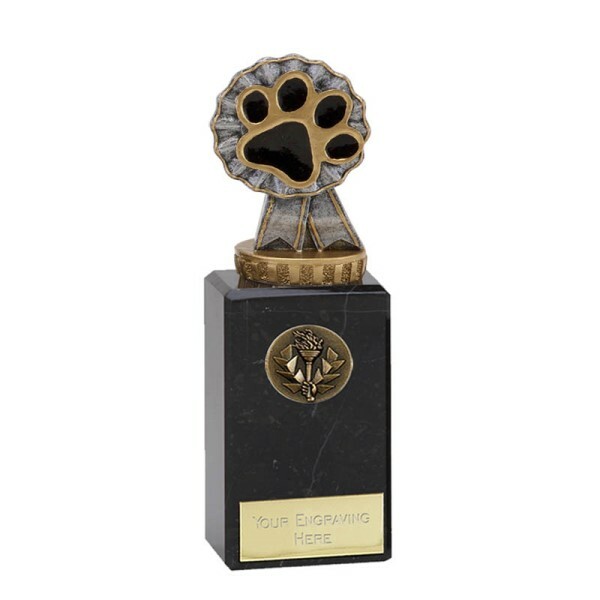 Flexx classic trophy featuring a paw print design with rosette motif behind. 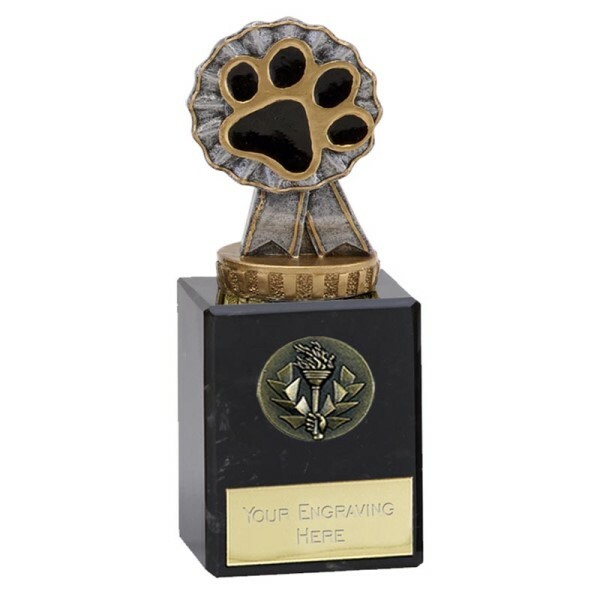 Engraving is available on this item. Where applicable products are available with engraving. It could not be easier to have your item personalised by The Cotswold Engraver. 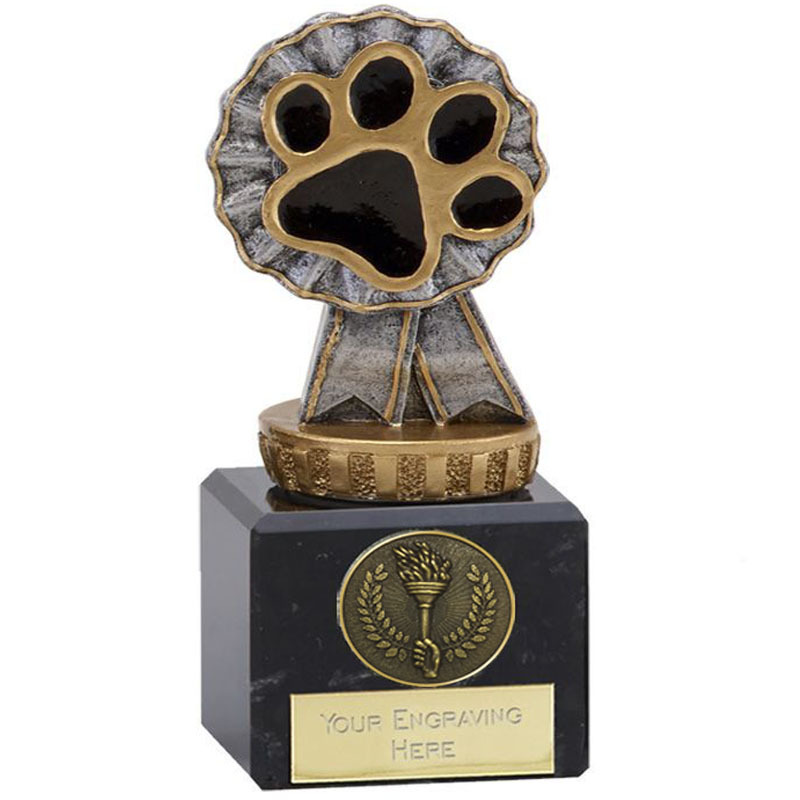 Our state of the art computerised engraving machinery will engrave any font requested (as long as it is available on the internet!). To keep things simple we have selected the 6 most common fonts that we get asked for. 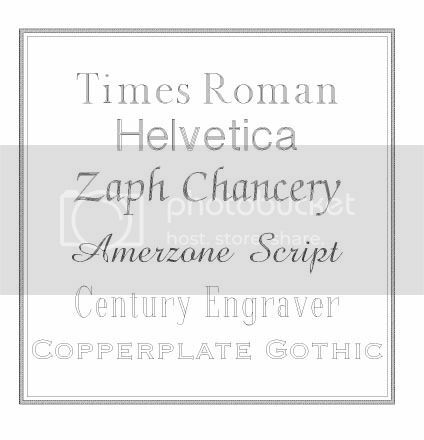 Below is a sample of each font, just select your preferred font from the list above (where applicable) and we will process your order using the font requested. If you have a particular font style that you would like us to use then please select other from the list and leave us a message at checkout stating your preferred font. We will endeavour to fulfil all requests but if we have a query we will always contact the customer before proceeding.